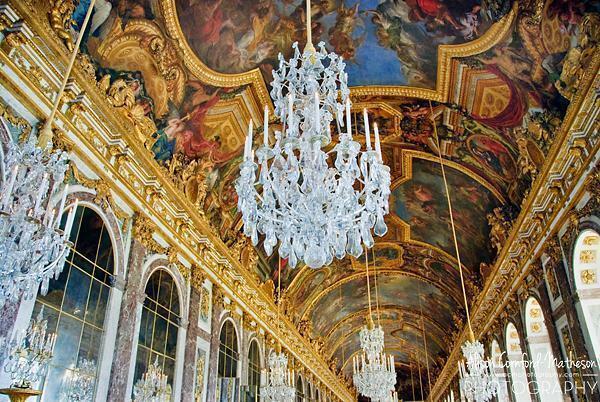 It’s hard to believe the Chateau de Versailles started as a small hunting lodge on the outskirts of Paris. King Louis XIII of France had visited the area numerous times on hunting excursions and in 1624, he had a small retreat built. While it may have provided a retreat for Louis, it was his son, Louis XIV, aka The Sun King, who embarked on a mission to create the most impressive palace in the world. After my recent weekend visit, it was clear…while The Sun King’s vision was unparalleled; his outcome was truly spectacular. 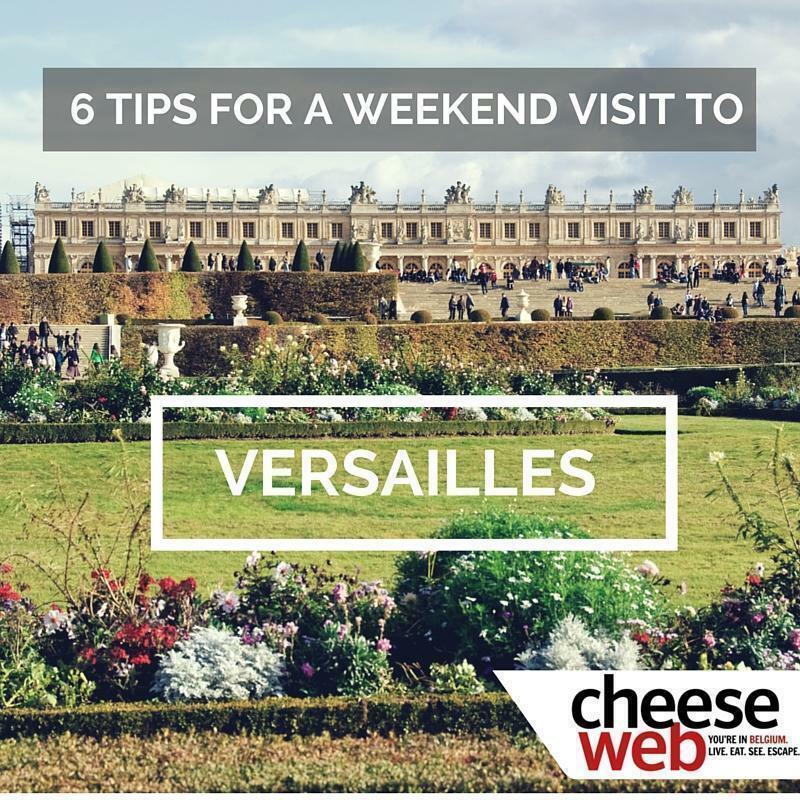 While throngs of tour buses deposit loads of visitors for brief, “hit and run” visits of the Chateau and gardens, in order to fully comprehend Louis’ vision and truly marvel in this work of art, I highly recommend making Versailles a destination of its own. That is exactly what we did, one weekend in late March. Arriving in time for dinner on Friday evening, we checked into a highly recommended and strategically located two-star hotel. Our family room, sleeping three, was surprisingly well sized and furnished. Its grand windows opened onto the Avenue de Paris, one of the three grand boulevards leading up to the Chateau de Versailles. After a leisurely dinner, we nestled in our beds and promptly fell asleep. To get an early start on the day, we opted to have breakfast at the hotel. Well-nourished, we started on the five minute walk to the gates of Versailles. From afar, it is an imposing structure and our anticipation increased with each forward step. However, as we made our initial approach, we were disheartened by the rows of tour buses already parked in the large lot in front of the palace. While we knew that April was the beginning of “high season” for tourists, we had hoped for fewer crowds in March. But all was not lost. Arriving 20 minutes before opening, we quickly entered the queue for existing ticketholders and shortly after 9:00 a.m., we were through security and headed across the courtyard and into the Palace. The main Versailles tour centers on the State Apartments, which include the King’s Chambers, the Queen’s Chambers and the Hall of Mirrors. While there are many other rooms to visit, these seem to be the most important and most visited. The free audio guide provided worthwhile information of each room, but frequently, I had to stop the program and just absorb. The opulence is extravagant. It is said that the cost of building the Chateau equaled half of France’s gross national product for one year. After exploring the Palace for ninety minutes, we exited through the Royal Courtyard and entered the gardens and parks of Versailles. If it is even possible, this turned out to be even more magical than the Palace. Beginning in 1661, Louis XIV began the transformation of the original structure. 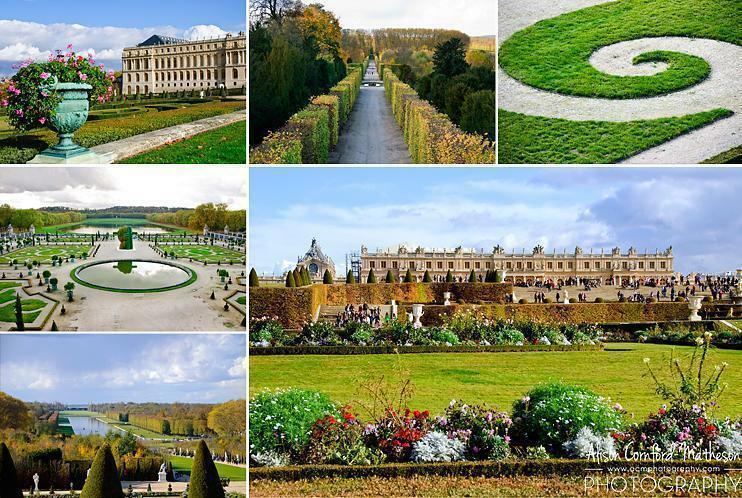 His chief landscape architect, Andre Le Notre, was primarily responsible for the expansive gardens surrounding the Palace. You could spend hours exploring the many groves with their fountains and statues. At one point, the gardens were host to over 1,500 fountains. Some fountains only came on when the King walked by. Others remained on continuously. Today, over 300 remain and, periodically throughout the day, music flows through the gardens, the spigots are released and once again water bubbles and dances throughout the fountains. It is a marvelous sight. Leaving the Petit Parc, we arrived at the Grand Parc and Canal, which is not part of Versailles’ public gardens. The cross-shaped Grand Canal provided a wonderful picnic spot. With the Palace as a backdrop, boats skimming along the canal and tasty French morsels, we thoroughly enjoyed our short respite before continuing our explorations. The remainder of the afternoon was reserved for short visits to the Palaces of Trianon and Marie-Antoinette’s Estate. These estates were created as vacation homes for the royal family…places to visit when the stresses of royal life became too much to bear! Marie-Antoinette’s’ hamlet was particularly interesting as it was an actual working farm. The series of twelve farmhouses appeared almost fairytale-like. Can you imagine seeing Marie-Antoinette dancing around the fields? Sunday provided an added surprise. Located a short distance from our hotel was the Marche de Notre Dame. I love French food markets and this one was the most impressive I have seen. Even this market dated back to the time of Louis XIV. The buildings surrounding the perimeter actually housed the King’s food stores. Today, you can find the most amazing fish, meat, pasta, cheese, really… just about anything. Outside in the center of the Place de Notre Dame, the vegetable and fruit purveyors set up their stands. It was early on Sunday morning but the place was bustling with people. After purchasing several items to prepare later at home, we headed to the car and made the five-hour trip home. We all decided that we had given Versailles a run for its money…but we will be back. There is still so much to see! 1. 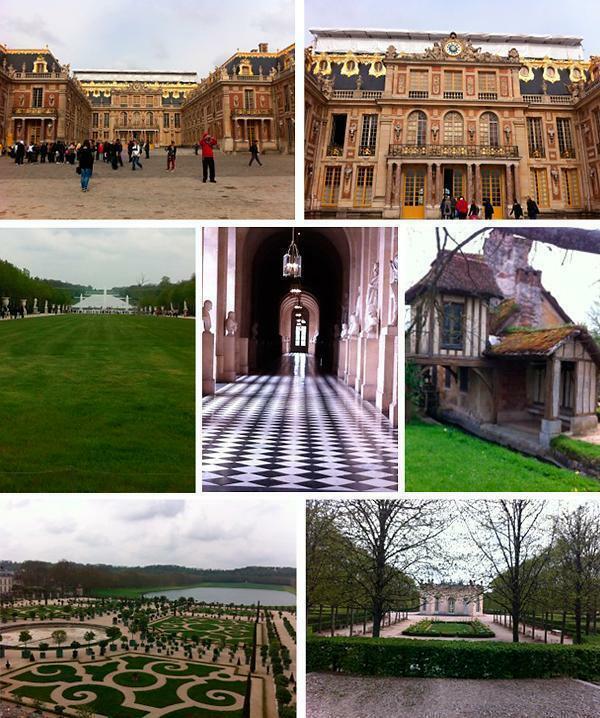 Stay in Versailles and within walking distance of the Chateau. Our hotel, Le Hotel des Roys, was a delightful two-star. We paid Euro130 for a family room overlooking the Avenue de Paris in late April. The hotel is charming, comfortable and clean and the hotel staff is very friendly and knowledgeable. 2. Skip the hotel breakfast and instead, visit a bakery or brasserie. It is much more economical. The nearby McDonald’s has a wonderful cafe and it is even highly recommended by Trip Advisor! 3. Pack a picnic lunch and have lunch along the canal. This is an absolute must! We were able to leave our bag containing meats, cheeses, a baguette and even wine at the bag deposit and retrieve it as we were exiting the Chateau. 4. Get your tickets online. 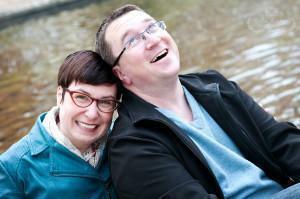 We purchased the Passport ticket and it allowed us entry into all of the Palaces and gardens. Children are free except for a nominal entry in the Petit Gardens. 5. The free audio guides provided good historical background information, but I also downloaded Rick Steve’s audioguide of Versailles onto my IPhone and I found it very informative and entertaining. 6. Take the time to stop and absorb. It really is a spectacular place…enjoy it!